At LAVA 24 Fitness, we're helping athletes from all levels improve their skills and take on targeted training that can produce real results. Our Sports Performance Training program has helped athletes playing football, baseball, basketball, soccer, track & field, so much more get the very most out of their ability and stand out from the crowd. Join us on Hilton Head Island for a revolutionary take on Sports Performance Training. Just fill out the short form on your screen to get started today! What's Included With Our Sports Performance Training? We're giving you access to 60-minute sessions where you can work with a trained professional on your unique skill set. Our Sports Performance Training program includes complete flexibility with sessions available 6 days a week. Nutrition Coaching: Sustainable strategies with the help of a professional. Injury Prevention: Learn safe training practices that can keep you off the DL. Athleticism and efficiency: Develop explosiveness and first-step quickness. Lateral speed and mobility: Focus on rhythm and coordination for better foot speed. PLUS mental strength and focus: Build confidence in everything you do. 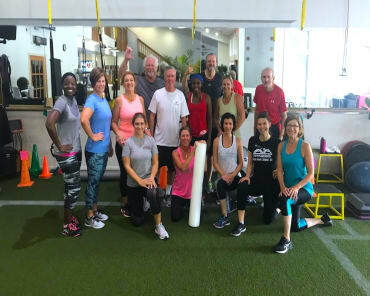 At LAVA 24 Fitness, we're committed to helping athletes across Hilton Head Island and beyond get the very most out of their game. 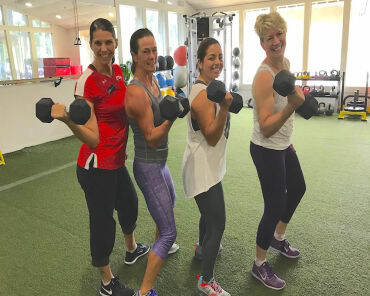 Our team is helping athletes of all ages improve their strength and apply it directly to the field, court, track, or wherever it is that you compete. Take The First Step Today With Our Sports Performance Training On Hilton Head Island! Don't miss out on the chance to take your game to the next level. Join us at LAVA 24 Fitness for the best Sports Performance Training around. We're helping athletes all across Hilton Head Island thrive - and you could be next. Just fill out the short form on your screen to get started today!